Managing information risk is becoming a top priority on the organizational agenda. The increasing sophistication of IT capabilities along with the constantly changing dynamics of global competition are forcing businesses to make use of their information more effectively. Information is becoming a core resource and asset for all organizations; however, it also brings many potential risks to an organization, from strategic, operational, financial, compliance, and environmental to societal. If you continue to struggle to understand and measure how information and its quality affects your business, this book is for you. This reference is in direct response to the new challenges that all managers have to face. Our process helps your organization to understand the "pain points" regarding poor data and information quality so you can concentrate on problems that have a high impact on core business objectives. This book provides you with all the fundamental concepts, guidelines and tools to ensure core business information is identified, protected and used effectively, and written in a language that is clear and easy to understand for non-technical managers. 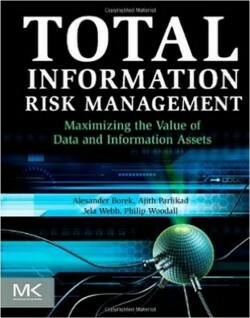 It shows how to manage information risk using a holistic approach by examining information from all sources. It offers varied perspectives of an author team that brings together academics, practitioners and researchers (both technical and managerial) to provide a comprehensive guide. It provides real-life case studies with practical insight into the management of information risk and offers a basis for broader discussion among managers and practitioners.